(Updated on Sept. 2 at 11:55 a.m.) A new organization of Aurora Highlands neighbors are working to protect the green space in their parks from becoming playgrounds and basketball courts. The Friends of Aurora Highlands Parks is a group of neighbors who say they’re trying to make parks in the neighborhood enjoyable for all ages. This means that the parks need to have a balance of open fields, athletic courts and playgrounds, said Kari Klaus, the president of the group. “The perfect park is a balance,” Klaus said. The two parks in the Aurora Highlands neighborhood are having trouble keeping the balance, Klaus said. Nelly Custis Park (701 S. Grant Street) is may be getting another playground and Virginia Highlands Park (1600 S. Hayes Street) is under construction to build more courts. 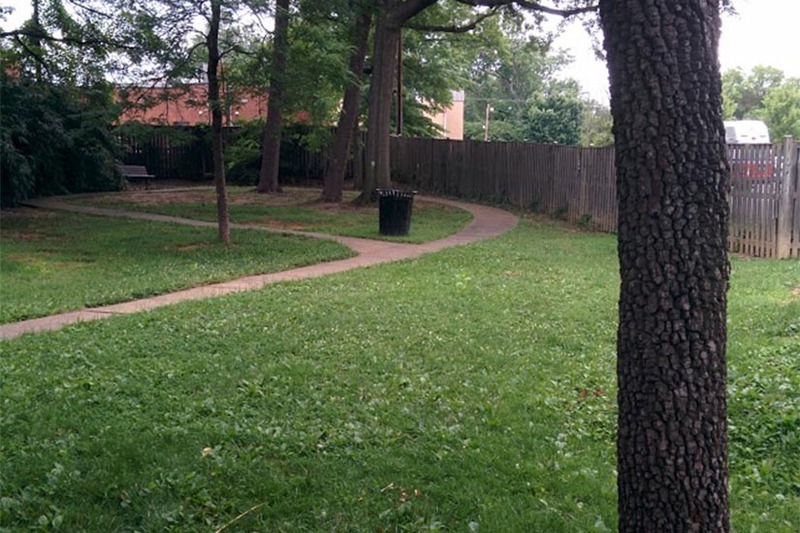 The group was formed after the Aurora Highlands Civic Association (AHCA) began discussing the additional playground for the Nelly Custis Park and and differences arose between some residents and the association’s majority. The new playground would make three in a little over a block, Klaus said. The park already has a playground and creating another one at the expense of open space went against the wishes of many neighbors, Klaus said. Despite the opposition, the civic association went forward with the plans to ask for the playground as a Neighborhood Conservation project. “The civic association has not budged on the playground from our parks perspective,” Klaus said. The Aurora Highlands neighborhood is age diverse, meaning there are families with young children, families with grown children, millennials and senior citizens. Adding a new playground would take away from the open space used by many of the neighbors, Klaus said. “We still have a very adult-related neighborhood,” she said. The civic association also had trouble communicating with the neighborhood, according to Klaus. There were notices about the plans in the beginning, but the advertisements stopped and neighbors felt left out of the process, she said. “There was some effort in the beginning but somehow the notices were dropped,” she said. Joel Nelson, president of AHCA, said he has yet to hear of the Friends of Aurora Highlands Parks and noted that the Nelly Custis Park playground is still being discussed. “I’m not familiar with the group, but I know that our community greatly values the park as an important local resource,” Nelson said. The Friends are also working to protect the open spaces in the Virginia Highlands Park. The Department of Parks and Recreation is adding more courts, which takes away from the green space. 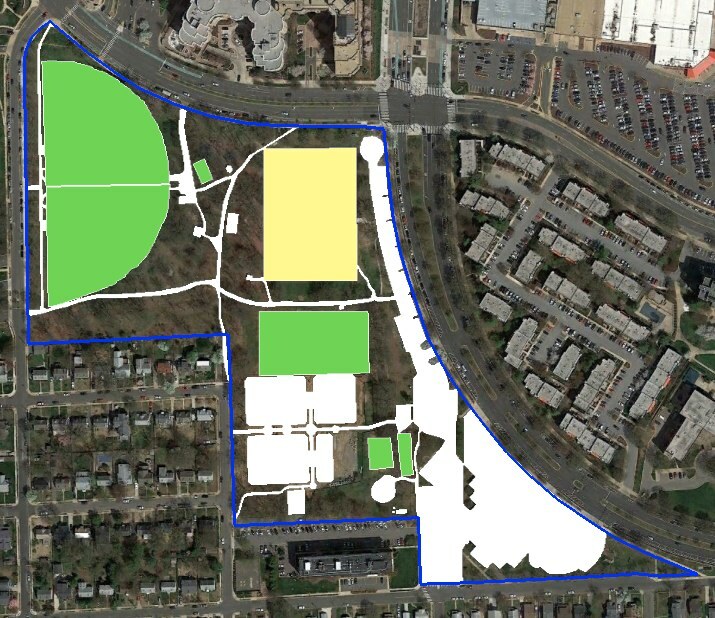 “Even though some neighbors use the recreational facilities it appears that they are primarily used by organized leagues and residents in other parts of Arlington County and even D.C.,” she said. The group has reached out to the department and are working with the Arlington Parks Coalition to make sure parks stay age-diverse, Klaus said. 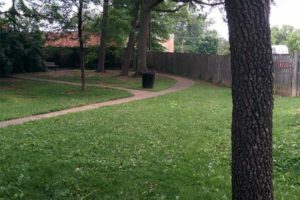 The group aims to have more trees added to the park and would like AHCA to help to build a dog park, which is part of the civic association’s master plan for parks, she said. “Friends of Aurora Highlands Parks will work with the county on acknowledging these valuable park resources and benefits in the hopes of preserving the current limited green and tree covered parkland while working to reverse some of these programmed spaces to fulfill actual neighborhood needs and deficits,” according to the group’s website. Klaus said the group has heard that Virginia Highlands Park is being considered as a site for a new elementary school, which is concerning because use of the park is only likely to increase with new development planned or under construction on the nearby Riverhouse and Metropolitan Park sites in Pentagon City. “This area needs more green space to compensate for the density increases and the age-diverse population and we need to make sure that no more facilities or buildings go over our very limited park and green space that we have,” said Klaus.